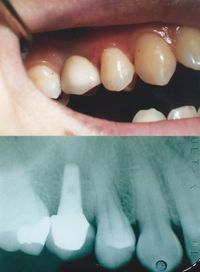 Implants are the closest way to mimic a natural tooth where it was previously missing. Dental implants are safe, long-lasting and can restore function and aesthetics where absent prior. At Marsfield Dental Care we have had the training and experience to successfully perform your general dental implant needs. Dental implants are a costly and time-taking procedure so before placing them we give all our patients an honest and accurate examination that will provide you practical information before you make a realistic and well-informed decision. At Marsfield Dental Care, we’ll work together with you to ensure that you get the best outcome for your dental treatment. During the implant process, we will always advise you at every step and we’ll educate you on how to keep everything clean. Like many things, dental implants require regular maintenance and review, and we will carefully do so at every recall appointment to ensure you get the best value for money from your new dental implant! We enjoy forming long-term relationships with our patients, so come visit Marsfield Dental Care for comprehensive oral health care served with a smile.